...where adults with special needs live, work and spend their free time together with the people who care for them, in a mutually enriching way.  Since its creation in 1992, Estia Agios Nikolaos has been recognized by the Greek State as a 'Charitable Foundation'. We also hold the special State Certification as a Charitable Provider of Social Services. Finally, in 2011, the Greek Secretariat of Youth awarded us the right to host volunteers as part of the European Volunteer Service, which finances the stay of volunteers from Europe. The cornerstone principle of 'Estia Agios Nikolaos' is that each person is unique and can be helped to develop his or her unique capabilities in a nurturing environment via creative work, artistic stimuli and direct interaction with nature. The outstanding views of the Gulf of Corinth, Mount Parnassus, the town of Galaxidi, of our garden and trees, allows us to enjoy and appreciate our everyday life even more.